15 drops of liquid Greensweet liquid stevia Coconut , if you like sweet you can add another 10 drops of Greensweet liquid stevia chocolate (or other flavor). Oatmeal, nuts, kernels and coconut chips go together in a bowl and then mix well. Heat the coconut oil in a pan until it is completely melted. Turn off the heat and add cocoa powder and 15 drops (or more) of Greensweet Coconut. Add the coconut oil to the dry ingredients and mix everything well. It is the intention that everything will get a nice layer of coconut oil. Line a baking tray with parchment paper and spread the mixture over the plate. Bake in a preheated oven (160 ° C) for 20 minutes. Keep an eye on the granola (every oven is different) and if it gets too brown you can always keep on stirring (I did this halfway). Cool well before you put them in a jar or jar! 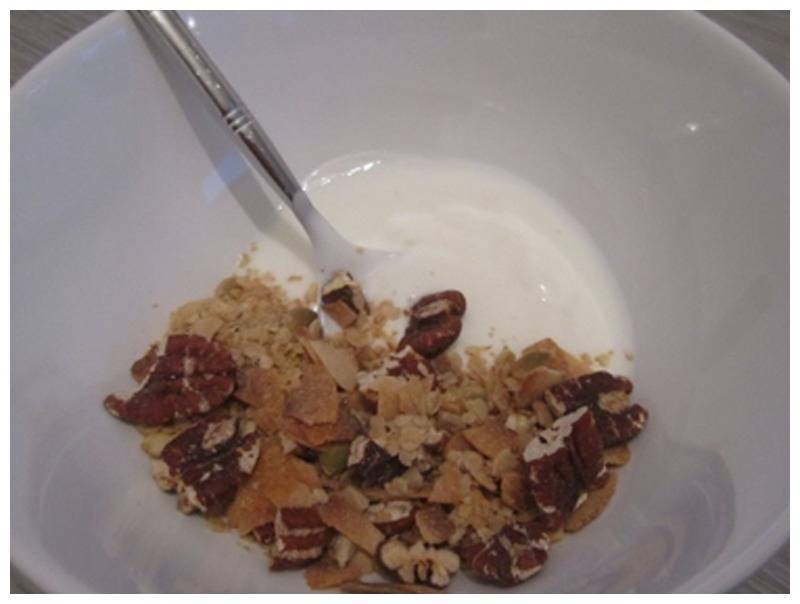 The granola is delicious with some fruit, yogurt or milk.